This is a precasted kerb for light duty. This is a kerb that is used for pedestrian walkways and paths. It has a flat top. It is not designed to withstand vehicular traffic. This is a precasted kerb for light duty. This is a kerb that is used for pedestrian walkways and paths. It has a rounded top, It is not designed to withstand vehicular traffic. 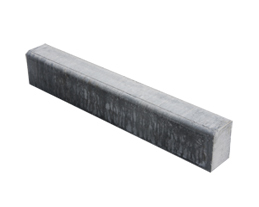 This is a hydraulically pressed kerb for light duty. This is a kerb that is used for pedestrian walkways and paths.It has a flat top. It is not designed to withstand vehicular traffic. 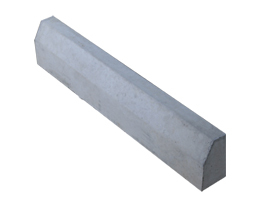 This is a precast kerb. 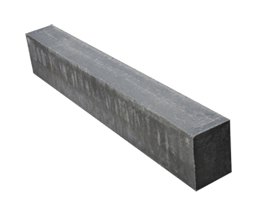 It is a medium duty kerb typically used in domestic driveways. It is suitable for light vehicular traffic. 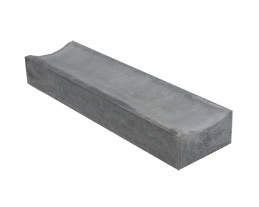 This is a precast kerb for heavy duty. It has a white smooth finish for people who are looking for kerb that is smoother than the hydraulically pressed version. 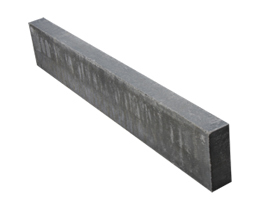 This is a hydraulically pressed kerb with a half battered profile. It would be suitable for light vehicular traffic. It is typically used in domestic driveways. Manufactured to BS EN 1340. 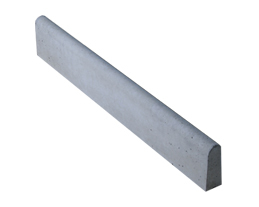 This is a hydraulically pressed kerb with a bullnose profile. It would be suitable for light vehicular traffic. It is typically used in domestic driveways. Manufactured to BS EN 1340. 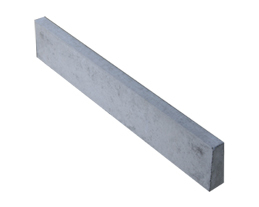 This is a hydraulically pressed kerb with a square profile (or Channel profile in the UK). It would be suitable for allowing brick paths to meet tarmacadam. It is typically used in large shopping centres allowing the architects to give wheelchair access directly from tarmacadam to brick forecourts. Manufactured to BS EN 1340. This is a hydraulically pressed kerb with a half battered profile. It would be suitable for vehicular traffic. 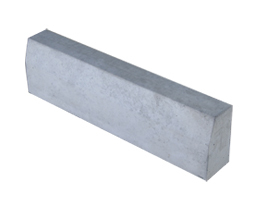 It is typically used in driveways it has the same profile as the larger 10x5 kerb. Manufactured to BS EN 1340. 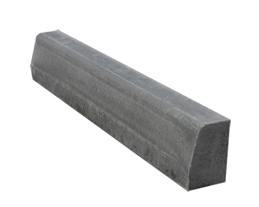 This is a hydraullically pressed kerb for heavy duty. It has a dark grey pimpled finish. It is the standard road kerb for all council roads. 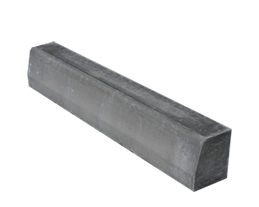 This is a hydraulically pressed kerb for heavy duty. It has a dark grey pimpled finish. It has a 45 degree angle on the top to allow vehicular traffic to drive over it in an emergency situation. Is not to be used alongside a pedestrian pathway. 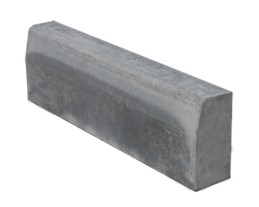 This is a hydraulically pressed kerb used for channeling surface water in the 8″ dish. It is designed for heavy traffic and is manufactured to BS EN 1340. 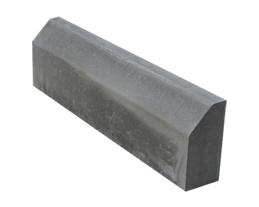 The hydraulically pressed kerb is more durable and hard wearing than a traditional pre cast kerb. 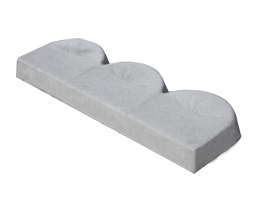 This is a precasted decorative kerb for light duty. It is typically used in flower gardens, walkways and pond areas. It is not designed for vehicular traffic. 18″ long, 8″ high, 1 ½ w″ide. (450mm x 200mm x 60mm). 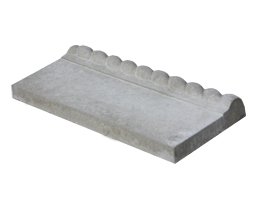 This is a precasted decorative kerb for light duty. It is typically used in flower gardens, pond areas and walkways. It is not designed for vehicular traffic. Dimensions: 2ft long, 8″ high, 2″ wide. (600mm x 150mm x 50mm). Doran Concrete Products Ltd, Newtown Commons, New Ross, Co. Wexford. Company Registration No. 294752 | VAT No. : 8294752O | Copyright: © 2011 Doran Concrete Products Ltd.
Website and Brand Identity Design by Zofo Creative :: Built to accommodate a 1024 x 768 browser.